We do so much more than just sell chemicals. Our tenured team of chemical engineers, chemists, and former water and wastewater operators provides comprehensive customized testing. A written analysis is always submitted in response to a customer’s samples tested. We also provide a full explanation how to apply selected treatments, details of the application methods, and a discussion on service requirements and methods. Ecotech not only offers a complete line of water and wastewater treatment chemicals, we also develop and produce customized chemical blends. This ensures that our customers always have the best possible product for their unique application. Our fully equipped laboratory allows us to simulate conditions present in potable water, wastewater, and industrial process applications. With source sampling and in-house testing, we are able to recommend the best initial treatment solution, as well as provide ongoing customer support and treatment performance analysis. These services are also offered to our select distributors. Plus, we design and fabricate feed systems tailored to your facility. We are committed to training client personnel in handling any new product application, as well as to providing ongoing support once a treatment is established. We also offer regular servicing to evaluate treatment performance. We are committed to our online system to handle all your needs, whether analyzing a customer sample, submitting recommendations, covering the planning and running a chemical trial, or discussing the details of pump application. If further involvement is required, we will make an on-site visit. 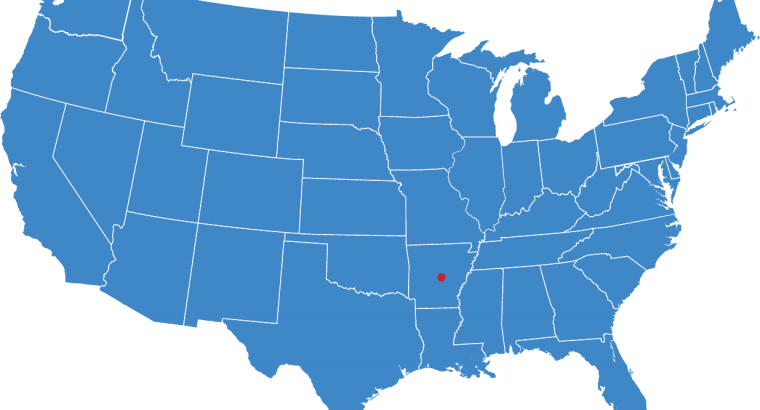 Our central location outside Little Rock, Arkansas gives us easy access to numerous locations throughout the state, region, and country. Customer requirements are quickly handled by our reliable in-house fleet and our cross-country contract carriers. Our logistics people assure your orders arrive on time. Many regional customers have smaller requirements for chemicals and feed products from drums, which requires a lot of handling and associated hazards. For these customers, we offer the added benefit of small bulk control. One of our medium-to-large size tanks can be located near the application. Then, we ship smaller quantities of chemicals, pumping them from our trucks. This eliminates an extraordinary amount of handling of hazardous chemicals. Plus, we offer bulk pricing for less-than-truckload quantities. We are DOT certified to do this. All of our products are custom made for your corrosion control challenge or coagulation of your water and wastewater applications. Plus, they can be supplied at major distributor discounts. All you need to do is send us a sample of the your application. After analyzing, we will provide our thorough analysis, recommendations, and application details in a clear-cut written form online, by phone, or any method you prefer. We’ll provide a step-by-step process for setting up and conducting a plant scale trial, as well as all results of the study needed to successfully sell and service the application. You’ll be amazed by the speed, accuracy, and enablement this quick-selling process will give your sales team’s developments. If you need a one-on-one consultation on any part of an application, we will gladly arrange it. Contact us today to assess your eligibility for a distributorship. We are conveniently located near Little Rock, Arkansas, allowing us easy access to numerous towns throughout the state and region.